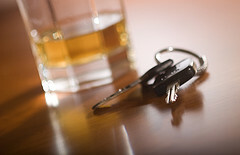 We can answer many questions for the clients of our Santa Rosa DUI injury law firm. We can tell them about the law and the legal process. We can help them evaluate settlement offers and understand the unique world of the courtroom. While we are not medical professionals, we can help them understand what an injury may mean for their future. We cannot, however, answer one of the most common questions – Why? We cannot tell them why someone got a car while intoxicated, despite the fact that everyone has heard about the dangers. That decision, a decision that altered innocent lives, is especially hard to understand when dealing with the all-too-common situation of repeat drunk drivers. Early Sunday morning, just eleven days into 2015, police arrested a Hayward man on his second drunk driving charge of the year. According to the Santa Rosa Press Democrat, at 6 AM on Sunday Mendocino County law enforcement sent an alert to their Bay Area peers about a suspected drunk driver in the area. Twenty minutes later police in Santa Rosa pulled over a gold Pontiac heading south on Highway 101 and weaving on the roadway. Behind the wheel they found 26 year-old Antonio Becerra Jr., a Hayward man with two previous DUI convictions and an arrest on suspicion of DUI earlier this month. Once again, police charged him with suspicion of driving under the influence. In March 2014, the National Highway Traffic Safety Administration (“NHTSA”) released a report titled, in part, “DWI Recidivism in the United States.” The report updated research on the rate of repeat drunk driving arrests and tried to control for the impact of varying state laws (specifically, the varying “look back periods” i.e. the length of time a prior DUI remains on a driver’s record) in order to combine state statistics into a national outlook. In 1995, the NHTSA reported that 31% of drivers arrested for DUI were repeat offenders. The 2014 study, which was significantly broader than the 1995 report, placed this figure at 25%. Presumably, people arrested for multiple DUIs drove drunk many times between the two arrests, each time jeopardizing their own safety and that of those around them. The NHTSA references one study that found only 1 in 200 impaired drivers are detected and arrested and a second that estimated that 112 million drunk driving episodes occurred in 2010 with only 1% leading to an arrest, numbers that are due in part to the limited resources of our police departments. There is certainly some “good news” in the NHTSA’s update, namely that the rate of repeat drunk drivers fell significantly. Even better, the number of DUI arrests (which may or may not equate to fewer intoxicated drivers on the road) fell as well. However, 1 in every 4 drunk driving arrests still involves a repeat drunk driver. This means people who have already been strongly cautioned and in many cases punished for their behavior chose to do it again. We support the NHTSA’s effort to study recidivism and determine what methods are most effective for preventing repeat DUIs. We cannot explain why people drive drunk despite presumably knowing the dangers. It is even harder to explain to a family whose lives have been turned upside-down why someone who was already arrested for DUI chose to drive intoxicated again, this time with terrible consequences. We cannot answer “Why?”, but we can help. If a drunk driver in Northern California injured you or claimed the life of a close family member, we can help you recover the compensation you need and deserve. Our DUI injury clients only pay us if they recover money and a consultation with our Santa Rosa injury attorney is always free.